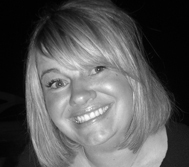 Melanie brings to the table an impressive track record of delivering effective and reassuring business solutions to companies and individuals. A big picture thinker she has 12 years of well-rounded global marketing and communications experience and is proficient at developing and implementing marketing and communication plans with collaboration across various geographical remits. Her experience establishing and co-ordinating global platforms in the property sector, led an increase in transactional fee income to the value of US$2.2 million in one year. Melanie also led targeted marketing campaigns and events across Europe, generating over 100 fresh business leads and US$3million of potential revenue in ten months. Recently, Melanie has been working alongside leading entrepreneurs in the fund management, business coaching, health and wellbeing and online sectors. She thrives on offering business solutions and the delivery of projects that are critical to the asset growth of small to medium enterprises. She is increasingly working with CEOs on a one-to-one basis who are looking to increase their personal brand profile internally amongst colleagues/stakeholders and externally, amongst their industry peer group as well as on and offline. Many are also looking to find a better work/life balance and greater performance levels. Melanie lives in Surrey and loves tennis, rowing, sailing and exploring the wonders of the National Trust.